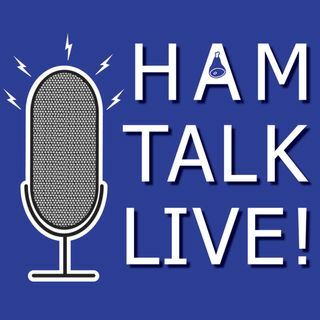 Episode 150 - Latest News from the Orlando Hamcation | Ham Talk Live! Michael Cauley, W4MCA will take your questions about the Orlando Hamcation! Michael will give us the very latest news just 2 weeks before the big event! Joe K0NEB is doing his Kit Build. Me and Joe Eisenberg K0NEB compete on tickets. We do this at Huntsville too. I'm talking 200 tickets. It's going to take a while to get them reafy. KD8QGA. Ask Michael if anyone can be available Thursday evening to purchase a brick of raffle tickets.